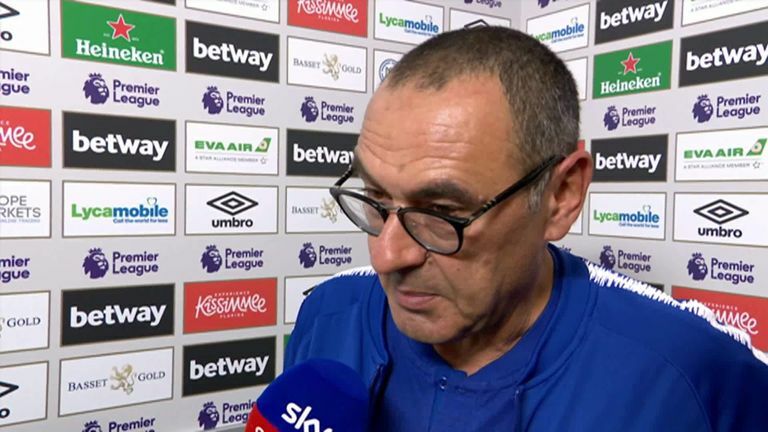 Maurizio Sarri conceded Chelsea must improve to match league leaders Liverpool after their winning start was ended by West Ham. The pair had been neck-and-neck going into this weekend's games but Chelsea could not match Liverpool's 3-0 win over Southampton on Saturday as they were held at the London Stadium. Sarri was unhappy with the result ahead of his side's clash with Liverpool next Saturday, where the Blues will need to produce more in attack than they did against Mauricio Pellegrini's West Ham, but said it could take a year for his side to reach the standard of Jurgen Klopp's team. "[Liverpool] are a step forward than us in this moment," he said. "We have started to work all together 35, 40 days ago. "So for us, I think it's a bit early. We have to work. We need to improve and then maybe in one year we will be at the same level of Liverpool." West Ham had lost their first four games before a 3-1 win at Everton last weekend, although Sarri said he had never doubted their quality in spite of that early-season form. "We could have done better, especially in the last 20 minutes of the first half," he said. "We played very well in the last 20 minutes. We knew West Ham are a good team and today would be very difficult. We are not happy with the result." Olivier Giroud was withdrawn for Alvaro Morata after half-time, even after the Frenchman had proved so influential in their 4-1 win over Cardiff last weekend. 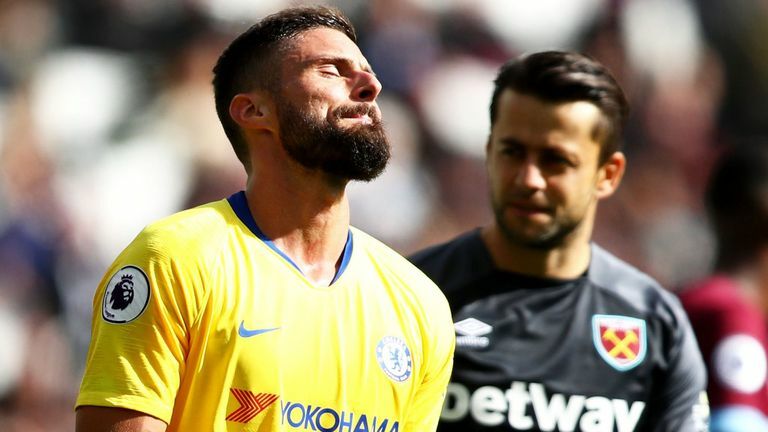 Sarri explained: "Giroud is a very important reference for his team-mates, in that moment West Ham were cutting out that pass. So I preferred to play with Morata and his movement without the ball."